I could spend a year visiting all the charming, airy, instagrammable restaurants and cafes in Bali and never grow tired of it. 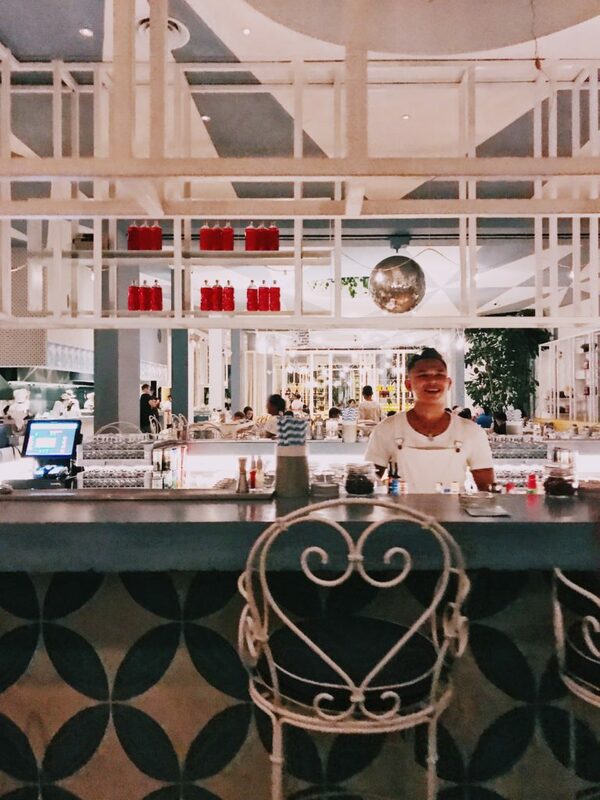 Not only is the island a foodie haven for fresh and healthy eats, but the restaurants themselves are incredibly imaginative and photo-worthy. These are my favorite, tried-and-true spots around Bali where you will find delicious food and stunning scenery – be sure to bring both your appetite and an extra memory card for your camera. Think colorful gypsy caravans, squashy floor pillows strewn about grassy lawns, twinkling fairy lights strung overhead, and the very best beachside sunset view imaginable. 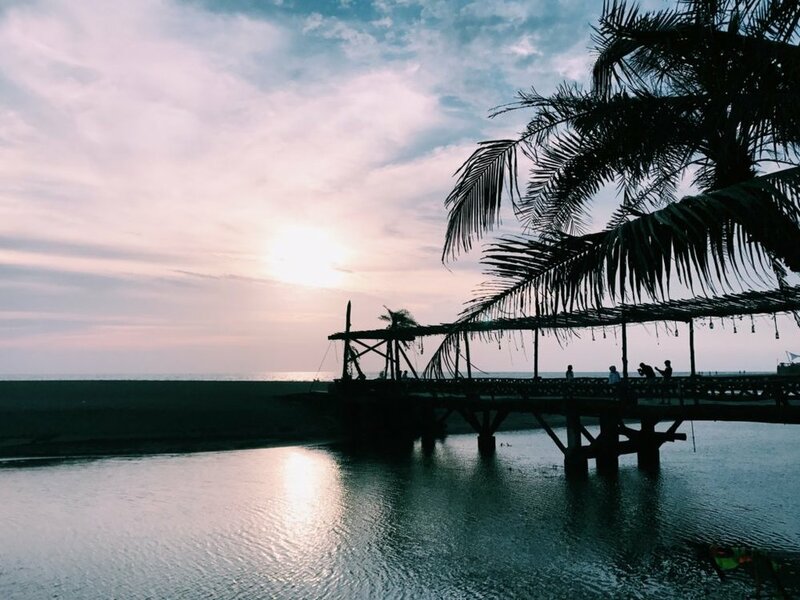 Be sure to get a reservation that will give you plenty of time to enjoy the beach and scenery, snap a zillion pictures of the Bali sunset, relax on your colorful gypsy floor cushions, and sip some delicious fruity cocktails. A great place for big groups! I recognize this might get me some serious hate mail, but Da Maria, located in Seminyak, has some of the best friggin’ pizza I’ve ever eaten. And I’ve eaten pizza in New York City, Italy, Chicago . . . but trust me – this bright and airy Italian food mecca will make you feel like you’re stepping right into a blue and yellow pizza parlor on the Amalfi coast. Pastas are also homemade, the burrata is the stuff of dreams, and you should probably try as many different pizzas as possible, but what really stole my heart was the margarita pizza. This is a great place to go for a birthday, because I’ve never seen a whole team of restaurant staff sing and celebrate a stranger’s birthday with such joy as the staff at Da Maria (not to mention the melt-in-your-mouth, chocolate-filled donuts they’ll bring you). Don’t leave before also checking out the charming swings and greenhouse-type dining area in the back. If you’re in the mood some casual fine dining, go grab a seat on the patio at Bridges in Ubud. 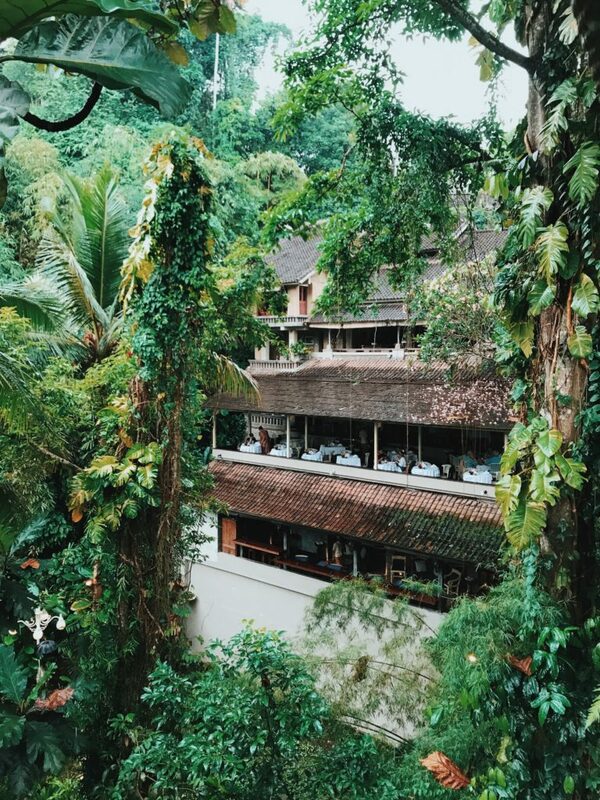 Named for the foliage-covered wooden bridge suspended over the river below, Bridges is a beautiful spot to enjoy the scenery, incredible gourmet food, and escape the hustle of Ubud Center. It’s perched on a jungle hillside, looking out onto the thick green trees and river, and if you’re lucky, you may even get caught in a magical Bali rainstorm. I think it’s a great place for a lunch retreat, because the views are the kind you don’t want to miss. My recommendations are the soy-braised wagyu and mushroom ravioli, but I really don’t think you can go wrong with anything on that menu. Smoothie bowls. Nasi goreng. Ahi tuna. Fresh coconuts. And, even better, all on a beautiful outdoor patio sitting right in the middle of a rice field. Nook is decorated in typical hippie Bali fashion, with funky reclaimed wood and rattan furniture, and you’ll want to photograph every last inch of it. The Asian-Western fusion menu is filled with fresh, delicious, and beautifully prepared menu items (including some typical Balinese dishes which I highly recommend! ), and there’s a little shop near the entrance with adorable accessories and home goods so you can bring some of Bali home with you. 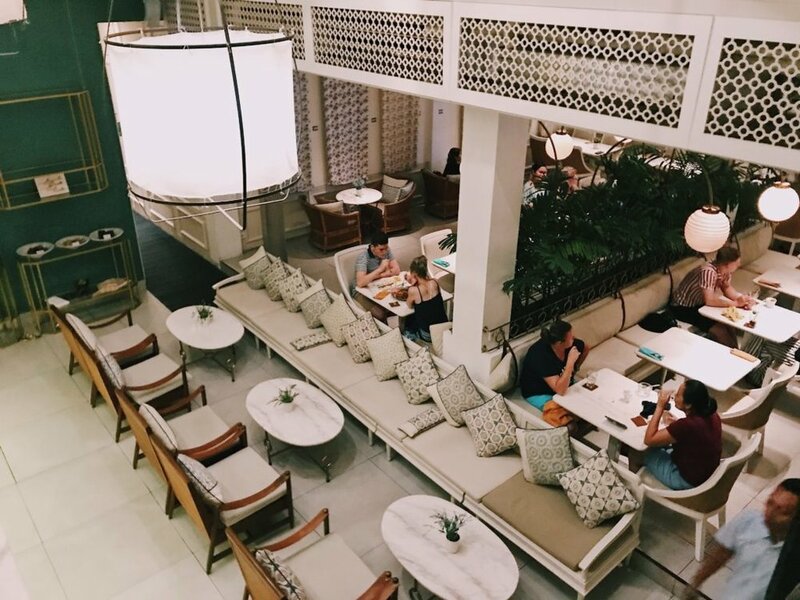 Batik is one of the most gorgeous restaurants I’ve ever been inside, with a bright almost colonial vibe and emerald green & white marble details. Both the interior design and menu is inspired by Indonesian and Southeast Asian culture, including the spices, ingredients, art, furniture, and fashion (with special batik details throughout). But despite its luxurious interior, Batik is also surprisingly affordable and has a menu filled with cozy comfort food options that’ll make you want to curl up on the cushioned benches and stay for a while. The tuna tartare is so good you probably won’t want to share, and the Thai and Vietnamese food options are excellent as well (the cashew chicken won’t disappoint!). But definitely don’t leave without getting a coconut, even if you don’t drink it (but please do, you’re probably dehydrated) just to gawk at how intricately carved they are. Grab a seat on the covered outdoor patio for lunch, with floor cushions, low sitting bamboo tables, and swoon-worthy views of the Sawaswati or “Lotus” Temple – named for the Hindu goddess of learning, literature, and art – in Ubud Center. 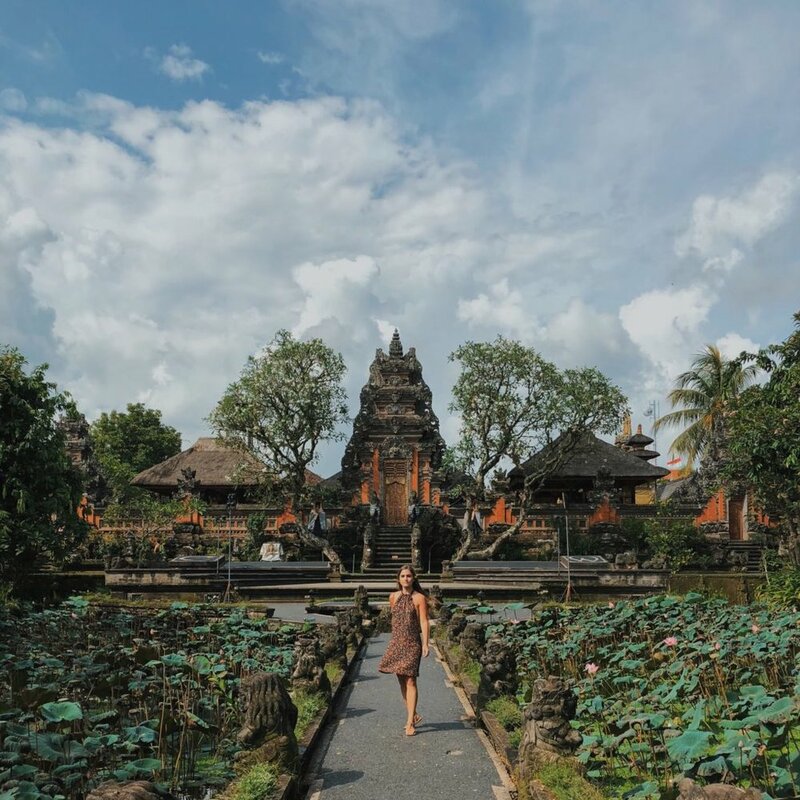 The Balinese food is fantastic (some of the best satay I had while in Bali), but the highlight really is being able to lounge around, bare-footed, while looking onto lotus ponds and the breathtaking orange temple. You’ll likely learn quickly that not all Bali beaches are created equal. Uluwatu beach, however, is on another level of beautiful, and getting lunch at Sundays Beach Club will give you access to a private section of Uluwatu Beach for as long as your heart desires. Located at the bottom of a lush green cliff, you’ll have to take a bit of a hike as well as a funicular to get down to the white sands and crystal clear waters below. Once there, you can enjoy some delicious beachside fresh food, smoothies, and juices. As a bonus, your day at Sundays will also give you access to paddleboards and kayaks should you get bored of sun-bathing. From my experience, Bali rainstorms tend to come at the perfect times, and make this already stunning island even dreamier (even if you end up soaking wet). I arrived to Munduk Moding Plantation at the height of a heavy downpour, and took refuge on the upstairs covered patio looking out onto the resort’s heavenly infinity pool, surrounded by fog- and jungle-covered mountains. The staff is completely charming, and they were so kind as to whip me up a fresh watermelon-lime-mint juice even though it wasn’t on the menu. In the past year, this resort has become rather famous on Instagram, so they have more restrictive lunch rules to maintain those peaceful vibes. I recommend contacting the resort in advance to make a reservation and understand the rules (prix fixe menu, time limits, off-limits areas, etc. are all likely). But if it fits within your budget and you don’t mind a few restrictions, this place is worth a visit for lunch because the views are unbeatable. 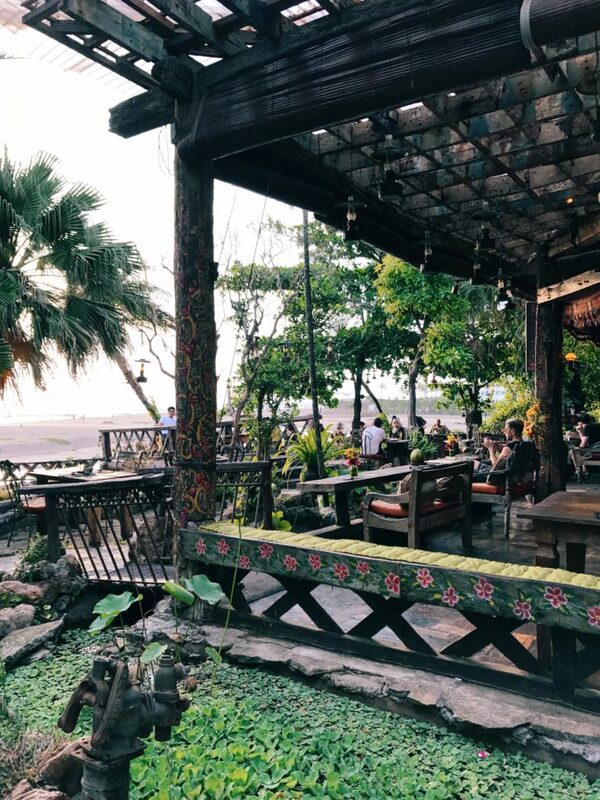 I can’t recommend all the above restaurants and cafes enough – I don’t think you can go wrong with anything on their menus, and you’ll likely want to spend hours soaking in the beautiful scenery and/or decor (which is perfectly fine, because each place has something very distinctly Bali for you to enjoy . . . consider it “sight-seeing”). 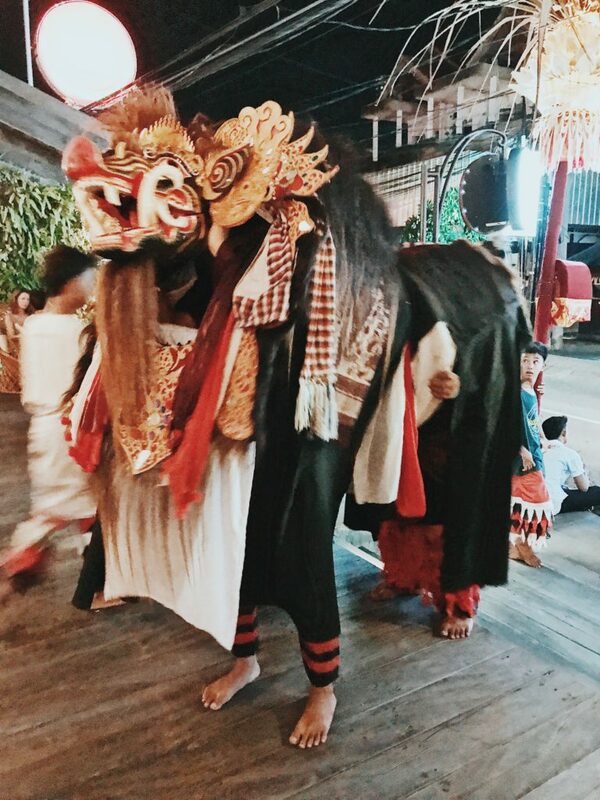 The truth is, you’ll find that you could pretty stumble blindfolded into any cafe or restaurant in Bali, hold up a camera, and snap away – and walk away with Instagram-worthy shots. This tropical island is not only filled with fresh, healthy, delicious food, but also with creative concept restaurants that are begging to be photographed. 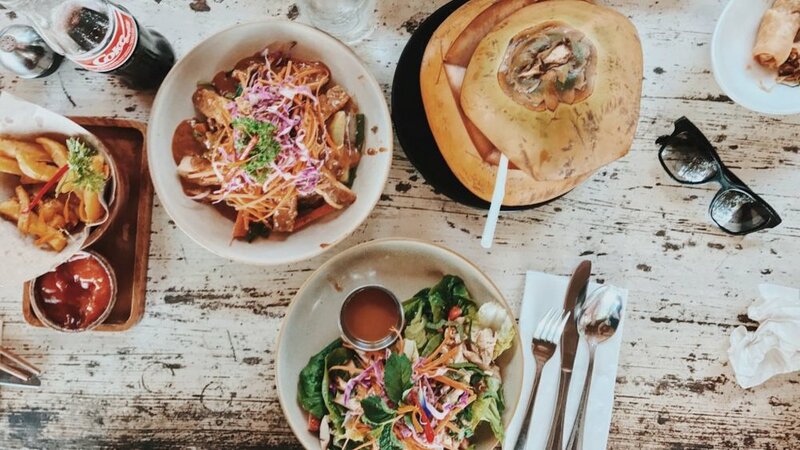 Have any insta-worthy Bali foodie recommendations to add to this list? Share in the comments below!